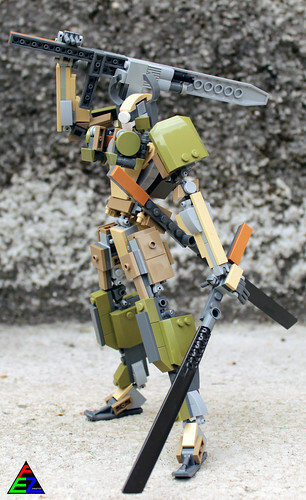 Check out the lines and colors on this lovely samurai mecha by Andrea Chiapella. Moko makes simple look so good! 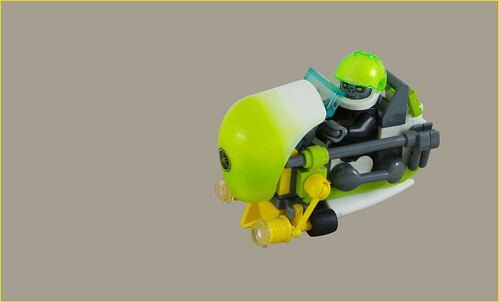 This would be a welcome addition to any modular layout. I might be a bit of a fanboy, but Lu Sim has been turning out beautiful mecha lately. 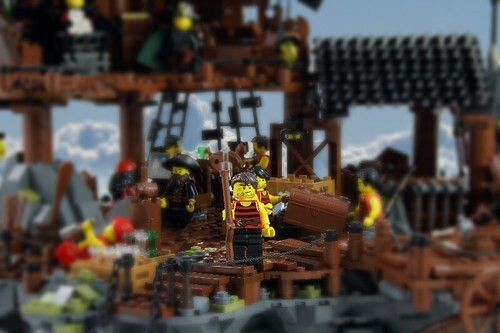 This little ape-man on little flying machine by F@bz, put a smile on my face. A teaser shot by Tim Schwalfenberg is salivating. 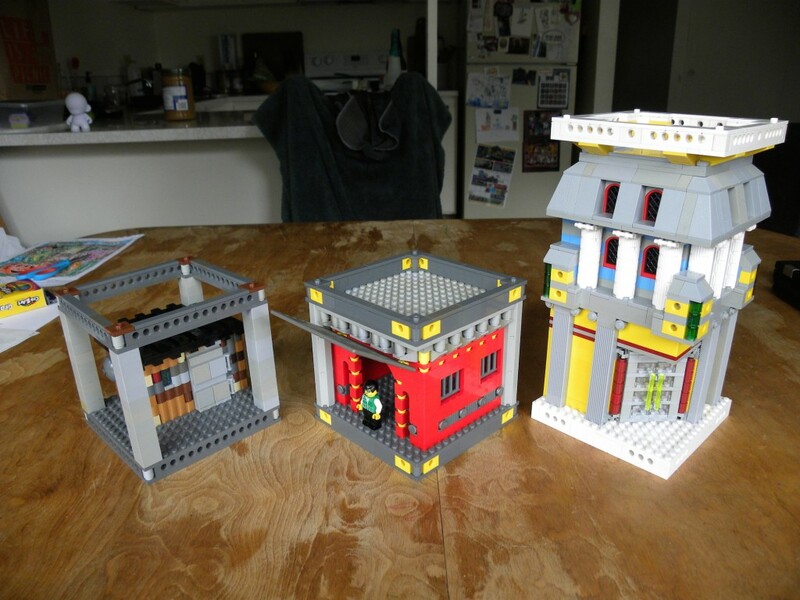 Lately, I’ve been spending a bit more time around train and town AFOLs and it has had me thinking about straying into minifig scale buildings. I saw some lovely models last month at BrickCon, that inspired me even further. 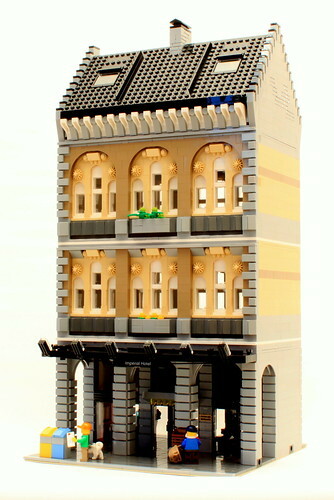 I don’t own any of the ‘modular’ buildings that Lego has released, so the idea of building one of my own is a bit daunting. 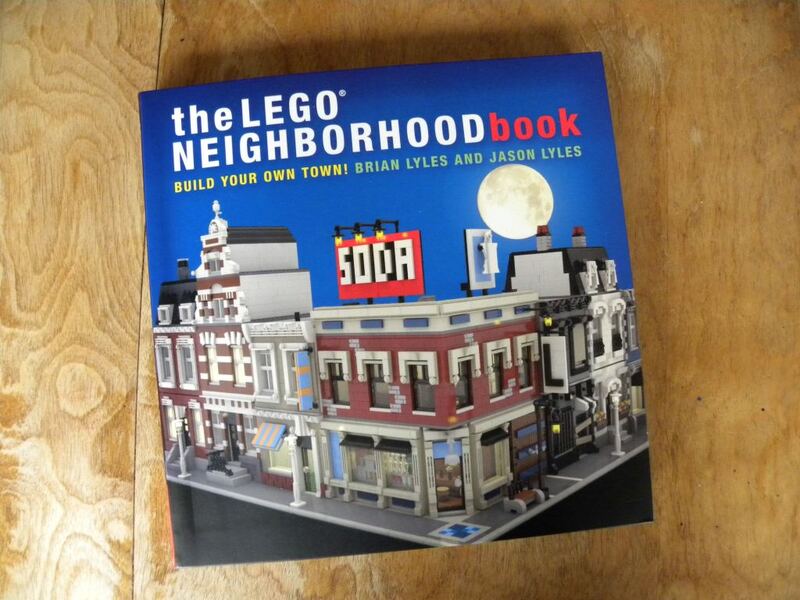 Lucky for me, The LEGO Neighborhood Book is the perfect introduction.